There’s still time to plan to attend the International Dairy Foods Association’s Ice Cream Technology Conference in Las Vegas on March 7 and 8. Today’s blog touches on part of my presentation titled “The Scoop on Millennials,” which will take place the morning of Tuesday, March 7. To entice you to attend the conference, here’s the scoop. We all know that Millennials have an insatiable appetite for adventure of all kinds. They are driving flavor and texture innovation in ice cream, too. As these young adults become parents, their preferences and priorities will impact the choices they make about the frozen treats they purchase for their tots. And not to be ignored, Baby Boomers--the grandparents—have their own evolving wish list when it comes to ice cream. For more information on Ice Cream Tech, link HERE. To read last week’s blog, link HERE. Fruit’s role in the three distinct consumer segments identified—Millennials, their children and the grandparents—varies. Let’s talk first about the kiddos. Remember when frozen novelties were fun? There were Flintstones Push-Ups and Marvel Heroes Popsicles. Most of today’s—and likely tomorrow’s--gatekeepers avoid purchasing such sugar-laden artificially colored treats. Have you noticed the shrinking kids’ section of the frozen novelty shelf? There’s also new Raspberry Chocolate Chip. Those all-natural chips could easily be shaped into characters—even emojis—for an adventure. It’s like alphabet soup. These flavors could go into a tube, on a stick or in a cup. They’re the kind of snack moms want to feed their kids. The colors of the rainbow are possible with fruit (and vegetable) ingredients. The package can make them fun. Educate the shopper that ice cream makes a sensible snack. It contains protein, calcium and other essential vitamins and minerals. Layer in some fruit and you have a powerhouse product. Baby Boomer grandparents are all about defying aging and getting the most bang for the calorie. To keep them in the ice cream category it is paramount to meet their nutritional needs. There’s a number of marketers in this sector and likely more to follow. Enlightened continues to grow its pint line of “the good-for-you ice cream,” with Banana Foster, which is silky ribbons of caramel swirled through banana ice cream. 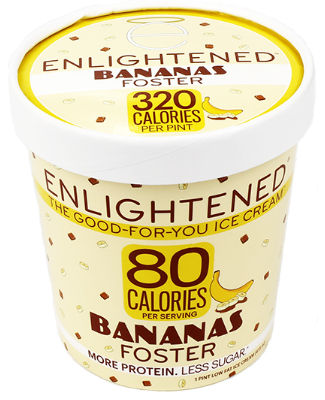 A half-cup serving is only 80 calories, with the whole pint being only 320 calories. A serving contains a mere 1.5 grams of fat, 6 grams of sugar and 7 grams of protein. This is accomplished through a proprietary base mix including skim milk, milk protein isolate, erythritol, soluble corn fiber and monk fruit extract. The ingredient list highlights the inclusion of real bananas, adding a layer of nutrition to this guilt-free treat. There’s also Strawberry Cheesecake made with real strawberries. This variety has an even “thinner” nutrition profile at only 70 calories, 1.5 grams of fat, 5 grams of sugar and 6 grams of protein per serving. For some Baby Boomers, organic is a priority. 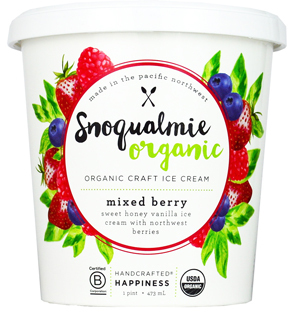 To meet their needs, Snoqualmie Ice Cream is rolling out Snoqualmie Organic ice cream pints. 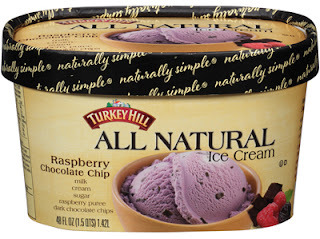 In addition to the standard chocolate, vanilla and cookies n’ cream flavors, there are a number of innovative offerings. One is Organic Mixed Berry. This is a unique, Northwest-inspired flavor made with organic Madagascar vanilla, organic honey from a Northwest supplier and a custom-made blend of organic Northwest berries. Look for more on this new line next week when it is featured as a Daily Dose of Dairy. Now let’s talk about Millennials, the adventurous, snacking demographic that craves flavor innovation. Fruit ingredients can assist. For Millennials, fruit ice creams are going upscale with higher-quality whole fruits (usually infused with a sugar solution to stay soft) being incorporated, with or without additional inclusions. This rides the coattails of the gelato trend, and supports a better-for-you positioning by making a more natural, from Mother Nature impression. Those whole fruit ingredients can be infused with flavor, too. The same is true for purees and variegates. Imagine a chipotle-infused raspberry swirl or a rosemary-lemon puree. Here’s a brand that understands flavor adventure and convenience. 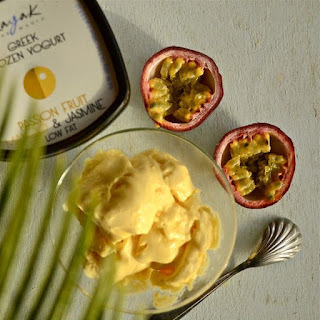 Kayak Greek Frozen Yogurt is now available in single-serve portions for on-the-go snacking. The unique square package even contains a spoon in the lid. Made from 100% real Greek strained yogurt and fresh fruits, without any artificial ingredients, the low-fat stevia-sweetened frozen yogurts come in an array of flavors. One that stands out is Mango & Jasmine. There’s also Red Berries & Acai. Want to learn more? Plan to attend Ice Cream Tech. See you in Vegas in a few weeks! Ice cream innovations for 2017 have been confirmed and product for this summer selling season is likely already being produced. Yes…we are halfway through the month of February. How did that happen? Now is the time to plan for 2018. I will share some insight from industry observations to give you an idea of what will likely be hot next year. But before I do that, here’s a brief market overview from the hot-off-the-presses 9th edition of Ice Cream and Frozen Desserts in the U.S., from Packaged Facts. Packaged Facts estimates that in 2016 the market for all ice cream and frozen dessert sales, including packaged ice cream and frozen novelties sold through retail channels and ice cream purchased at foodservice outlets, was just shy of $28 billion. Foodservice sales outpaced the retail channel by slightly more than $3 billion. Both segments are expected to see gains going forward, with the total category projected to approach $30 billion by 2020. Retail dollar sales are projected to grow to almost $13 billion while foodservice will surpass $16.3 billion. Packaged Facts’ research confirms something I’ve written in this space many times. “Recent innovation in frozen desserts is all about re-interpreting conventions,” says Sprinkle. 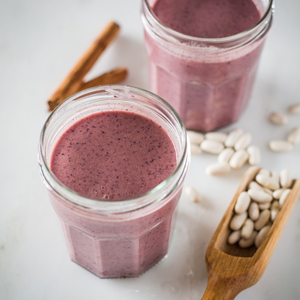 “It’s combining old-fashioned themes with on-trend ingredients, blending sweet flavors with savory, shifting from diet products to those with nutritional and functional benefits. 1. Mild base flavors and very bold, rich inclusions. This is not new, but the twist is that the flavors will be more adventurous. Think burnt whiskey-flavored variegate, espresso-filled chocolate cups and blood orange cheesecake chunks. Chocolate is not going away but what appears to be trending is chocolate being more the inclusion rather than the dominating base. Chocolate may also be paired with other ingredients to create unique textures. For a healthful twist, think dark chocolate-covered ancient grain clusters or nuts. 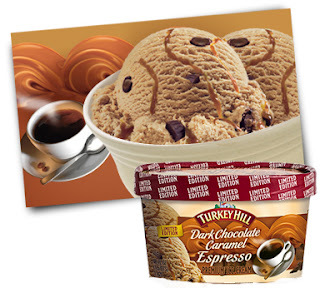 Turkey Hill Dairy showcased this in limited-edition Dark Chocolate Caramel Espresso this past year. This product is espresso-flavored ice cream with dark chocolate caramel truffles and a sea salted caramel swirl. 2. Brown, burnt and toasted. 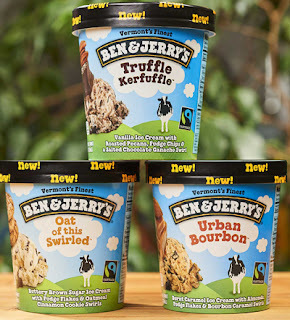 Ben & Jerry’s nailed it with its new Urban Bourbon flavor hitting freezers this month. 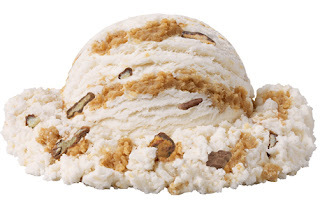 This burnt caramel ice cream comes loaded with almonds, fudge flakes and bourbon caramel swirl. The flavor name is a nod to big city millennials who are embracing whiskeys and other spirits, which had been shunned by the previous generation of wine and beer drinkers. Included in this brown, burnt and toasted flavor trend are variations of caramel. Think bourbon infused, smoky bacon and even cold-brew coffee caramel. Brown also plays into peanut butter. Despite being a major allergen, peanut butter goes so well with ice cream that manufacturers are willing to take the extra steps in food safety and sanitation to keep peanut butter on the menu. Wells Enterprises Inc., has a number of new products rolling out for the summer. 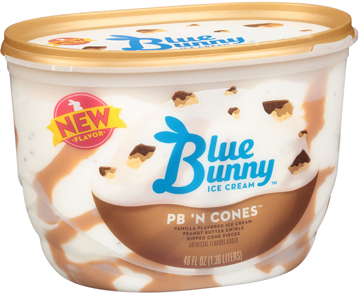 This includes PB ‘N Cones (pictured), which is vanilla-flavored ice cream, peanut butter swirls and chocolate-dipped cone pieces. 3. Cold-brew coffee. This cold-processed coffee is hot, especially in dairy products, as coffee and milk are very complementary. Millennials are driving the growth of cold-brew coffee, as they appreciate the smoother, less acidic taste of cold brew to its iced coffee counterpart. Recognizing this as a growth opportunity, Starbucks has started selling ice cream in select stores to allow for creations such as cold-brew floats and cold-brew malted shakes. This is what’s on Starbuck’s menu. It’s time to figure out how to translate this into a packaged product? 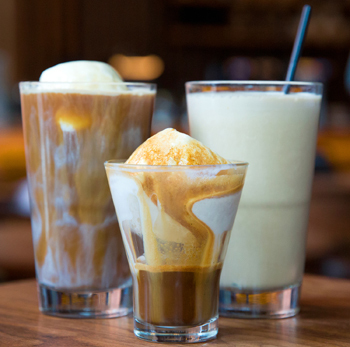 Affogato is a trio of beverages celebrating the classic Italian dessert. The Classic Affogato is made with two shots of Starbucks Reserve espresso poured over a scoop of ice cream, resulting in the drowning creaminess of the ice cream in rich espresso. The House Affogato adds a touch of demerera syrup and a dusting of cinnamon, while the Shakerato Affogato is made with Reserve espresso shots shaken to an icy froth, poured over ice cream, lightly finished with vanilla syrup and a mint sprig. Cold Brew Float is Starbucks cold brew poured over ice cream. This is also available with the company’s nitro cold brew. The float menu will include a seasonal specialty, the Vesuvius, which combines cold brew shaken with orange peel, orange-piloncillo syrup and ice. Named after Mount Vesuvius in Italy, when the cold brew is strained over the ice cream, it’s reminiscent of a subtle volcanic eruption, then finished off with a dusting of mocha powder and an orange twist. 4. Salty other stuff. Salty caramel has become mainstream in the ice cream sector, so it’s time to make other inclusions salty. 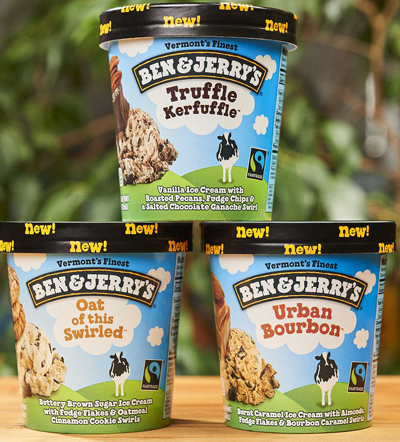 Ben & Jerry’s is leading the way with new Truffle Kerfuffle. This is vanilla ice cream with roasted pecans, fudge chips and a salted chocolate ganache swirl. What else can get salted? Well, just about anything perks up with a little bit of salt. Some ideas are salty lime, salty pretzels and salty peanut butter (instead of the sweet peanut butter typically used in ice cream.) For something more extreme, think salty tortilla pieces or salty chocolate-covered potato chips. Salty plays well into spice, with cinnamon being the dominating spice. Cinnamon is a characterizing flavor of speculoos cookies, which is trending along with its many variations. 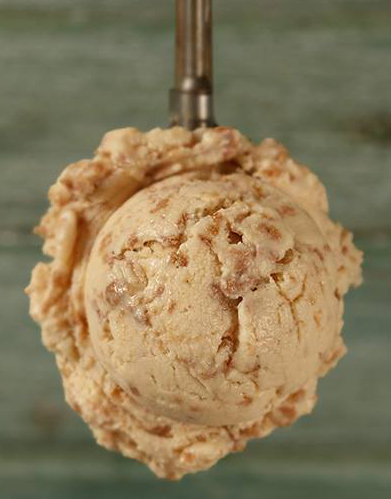 Hudsonville Ice Cream is rolling out Windmill Cookie Butter (pictured), a spin on speculoos and also a nod to its hometown of Holland, Michigan, where windmills are everywhere. This product is cookie butter-flavored ice cream with crunchy cookie pieces flavored with a unique spice blend of nutmeg, cinnamon, clove and ginger. 5. Fruit goes upscale. I’ve saved the best for last. Fruit ice creams are going upscale, with higher-quality whole fruits (usually infused with a sugar solution to stay soft) being incorporated, with or without additional inclusions. This rides the coattails of the gelato trend, and supports a better-for-you positioning by making a more natural, from Mother Nature impression. 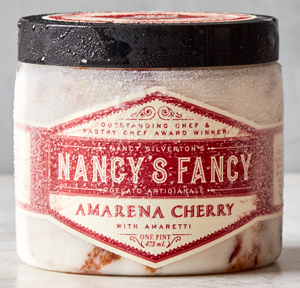 This is showcased in some of the recent rollouts by Nancy’s Fancys, which is the namesake product created by two-time James Beard Award-winning chef and author Nancy Silverton. Created from recipes inspired by the well-loved desserts served at her acclaimed restaurants, Nancy’s Fancy is the chef’s first-ever product line in her distinguished career. Her three new flavors are: Amarena Cherry with Amaretti, Passion Fruit and Zabaglione with a Citrus Caramel Swirl. The latter is a traditional Italian egg custard flavored with Marsala wine and swirled with citrus-infused caramel. Here’s that flavored caramel concept mentioned in trend #2. Many of these five trends can be combined to create signature ice cream flavors. The time is now to start getting creative for 2018. A lot happened in 2016, and I’ll just say 2017 has been quite eventful thus far. There’s no doubt there will be lots of change this year, in the dairy industry and beyond. It’s time for dairy processors to embrace change, namely the types and formats of foods and beverages today’s—and tomorrow’s--consumers want. If you have not read how the “Dairy industry prepares for Trump administration” in this week’s Food Business News online, please link HERE. Back to 2016, that’s the year that the United Nations designated as the International Year of Pulses. Pulses are the dried seeds of plants from the legume family, such as peas, edible beans, lentils and chickpeas. Pulses have special properties that make them particularly suitable for today’s health-conscious consumers. They are naturally very high in protein and dietary fiber, and are a rich source of minerals, including iron, zinc and phosphorus. They are also a source of B vitamins and folic acid. They are considered non-allergenic proteins, and are gluten free, non-genetically modified and have a low-glycemic index. In other words, they are powerhouse foods and food ingredients. Numerous food industry forecasts for 2017 state that pulses and plant proteins will be big. They have already been drivers of innovation for the past few years. From April 2014 to March 2015, U.S. households had 34% penetration of pulse ingredients, according to consumer data based on sales at Kroger. There was a 74% increase in new product launches with pulses from 2010 to 2014, according to Innova Market Insights. Those innovations span the store, according to Kroger data. (See infographic.) In the dairy case, they are only appearing as vegan products, most notably as milk and yogurt alternatives. It’s time for dairy processors to embrace pulses and develop non-standardized products that combine the best of cows milk and the best of plants. Research firm Packaged Facts stated in its report “Food Formulation and Ingredient Trends: Plant Proteins” that consumer interest in boosting protein intake remains strong with more attention being paid to the specific types of protein being consumed. The desire for clean labels, ease of digestion, the need or desire to avoid allergens, compatibility with vegetarian and vegan lifestyles, and concerns about sustainability among the general population are putting the spotlight on plant proteins. “Consumer notions of what constitutes a good protein source are expanding to include a wider variety of plant protein ingredients,” said David Sprinkle, research director and publisher. Today’s consumers, in particular millennials, are demanding more protein, and varied protein, for a range of reasons, including weight management, allergies, sustainability and ethical/religious beliefs. About 10% of millennials consider themselves vegan, according to the Packaged Facts report. Dairy processors are poised to produce dairy alternatives with pulses to appeal to this consumer base. 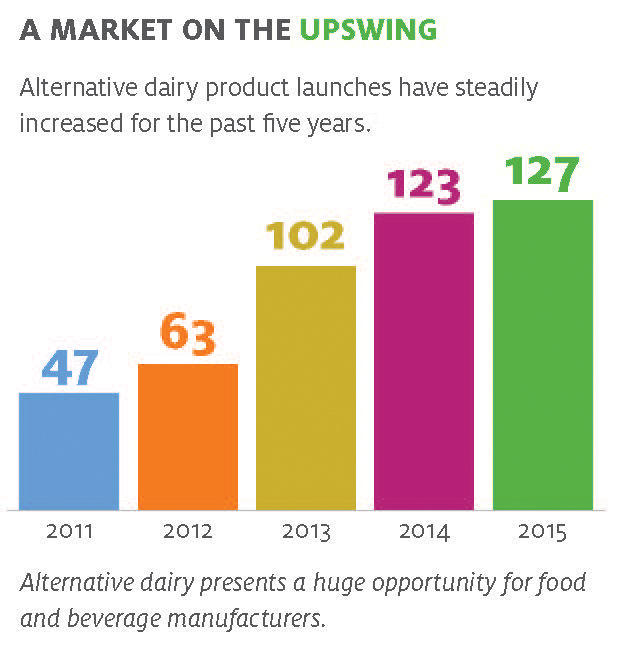 Mintel data show that there’s been a steady increase in the number of dairy alternatives entering the marketplace. (See infographic.) Many of these products are made on the same equipment as their dairy counterparts. Many are made by dairies. Think WhiteWave with its Horizon Organic and Wallaby organic dairy brands and its Silk and So Delicious dairy-free brands. I would not be surprised if WhiteWave has something in the works with a dairy- and plant-based product. Indeed, there’s plenty of opportunity to blend dairy and plant proteins. I’ve tasted a yogurt-style product made with cows milk and enhanced with pulses, and guess what, it was pretty darn good! I’m thinking smoothies make a lot of sense, in particular “breakfast on the go.” Dips are a no brainer. Greek yogurt and hummus go so well together. As former Secretary of Agriculture Tom Vilsack, president and CEO of the U.S. Dairy Export Council, said as last week’s Dairy Forum, the dairy industry needs to “collaborate, cooperate and communicate.” This is just as true in policy as it is in innovation. 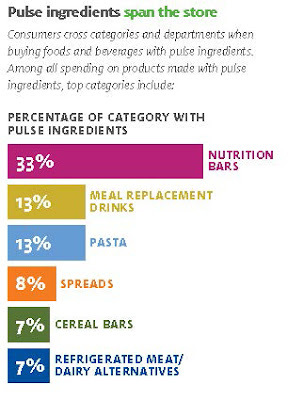 It’s time to explore the many new pulse ingredients available to formulators. They have clean flavor profiles that enable processors to formulate across a broader range of applications more easily without having to compromise flavor or sacrifice taste, while addressing growing consumer demand for nutritious, protein-packed foods and beverages. Dairy Innovation: Opportunities Highlighted at Dairy Forum 2017 Focus on Protein, Fat, Fiber and Chocolate Milk! 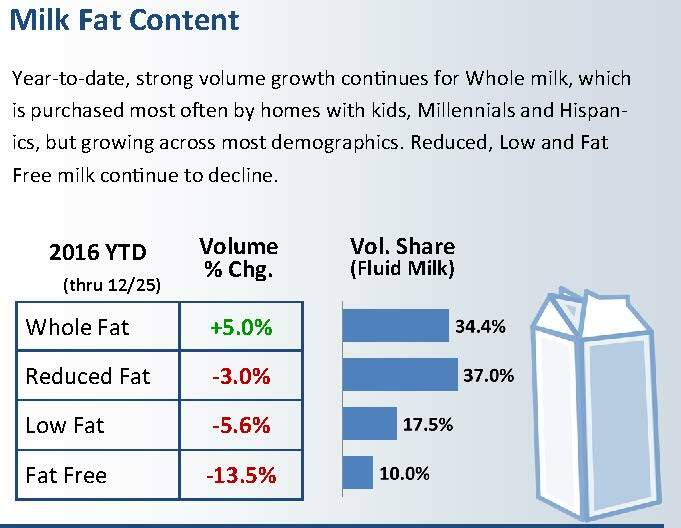 Indeed, consumers’ insatiable appetite for protein and their rekindled relationship with fat make milk and dairy products relevant. They are delicious, nutritious and enticing powerhouse foods. Add in a layer or two of extra nutrition, from omega-3 fatty acids to dietary fiber to vitamins, and you’ve got yourself a winner. Tom Vilsack, president and CEO of the U.S. Dairy Export Council, who served as the U.S. Secretary of Agriculture from 2009 until 2017 (leaving this position one week before inauguration day), told attendees during a luncheon presentation that he was attracted to working with the dairy industry because of all the innovation. He went on to say that when given the choice between white and chocolate milk, hands down, he picks chocolate. A day earlier, Dykes addressed the 1,100-plus executives attending the Dairy Forum and said his plans not only include working on trade policy, food safety and food labeling, but also collaborating with allied partners, such as retailers, and being supportive of innovation. That new food culture must be nourished by each and every person reading this blog, from product developers with the great ideas to company presidents, who must invest and support bringing innovative new products to the market. 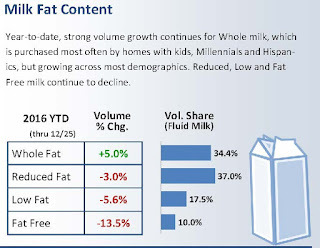 That’s what you get with fairlife’s most recent innovation, which was featured as a Daily Dose of Dairy during the busy week of Dairy Forum. 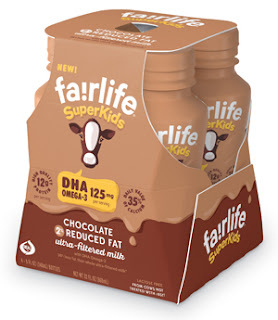 The product is fairlife SuperKids ultra-filtered milk and comes in chocolate and white varieties in multi-serve 52-ounce bottles, as well as four packs of 8-ounce single-serve bottles. Lactose-free and made with 2% reduced-fat ultra-filtered milk, an 8-ounce serving of the chocolate variety contains 140 calories, 5 grams of fat, 12 grams of protein, 12 grams of sugar, 3 grams of fiber, 35% of the Daily Value for calcium, no added sugar, plus 125 milligrams of DHA omega-3 fatty acids. The product is sweetened with stevia leaf extract and monk juice concentrate. This is innovation! We need more of this in milk and all dairy product categories. In a separate session at Dairy Forum 2017, Julia Kadison, CEO of MilkPEP said that 2016 was an exciting year for the milk industry. 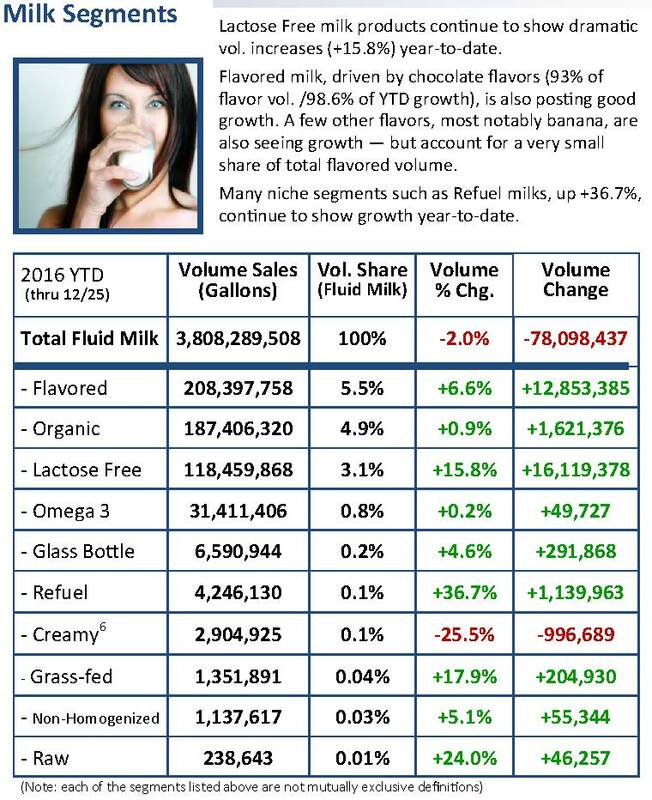 There was increased product innovation, sustained growth of chocolate milk and whole milk sales, and resumed growth of organic milk. 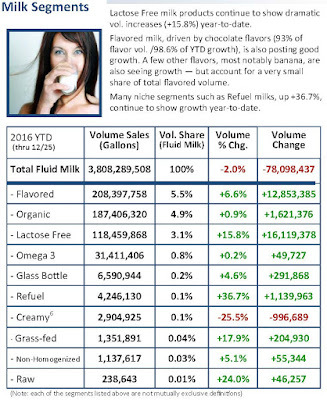 Milk volume sales performance was the best in the past six years. Here’s the thing with chocolate milk and other flavors of milk. You have to watch the added sugars, which was another topic of conversation at Dairy Forum 2017. By now you should be fully aware that on May 20, 2016, FDA released mandatory nutrition labeling revisions. FDA made changes to the content and format of the Nutrition Facts label as well as to the reference amounts that determine the serving sizes of conventional foods. One of those changes includes having an added sugars line on the Nutrition Facts. There are many varied technologies that can assist with keeping added sugars low, and likely the most successful strategy is to include multiple ones. That’s what you see in fairlife SuperKids chocolate milk: real milk that is ultra-filtered milk to provide more nutrition and also includes enzyme, fiber and high-intensity sweeteners to allow for a no-added-sugars claim. Some fibers, such as chicory root inulin, can assist with taking sugar out and putting fiber into dairy foods. These are dietary fibers that provide natural sweetness, at only two calories per gram, vs. sugar’s four calories per gram. Some ingredients provide more sweetness than others, and their ability to work synergistically with other no-added-sugar sweetening systems varies, too. To read a recent blog on this topic, link HERE. Back to opportunities in milk, MilkPEP continues to focus on driving consumer demand for milk. 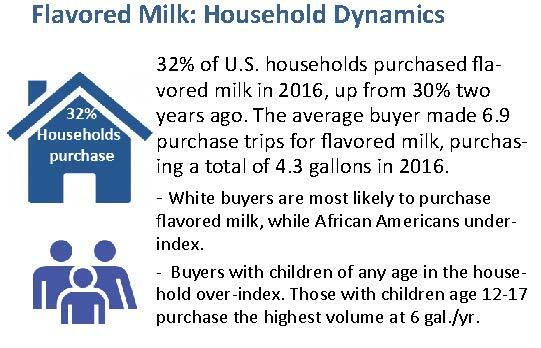 Through extensive research, marketplace and consumer understanding, the organization has identified a number of strategic priorities to help ensure that the milk category achieves success over the next three years. One of them is to win with kids. The fact is, children love milk. They know it’s nutritious and good for them. According to a recent MilkPEP study of 2,400 moms and 1,500 children, 41% of kids said they would drink more milk if they could. Another priority is to maximize Milk Life’s five-year sponsorship of Team USA to demonstrate the unmatched role milk plays in the lives of athletes. The message is that milk assists athletes with fulfilling their potential. 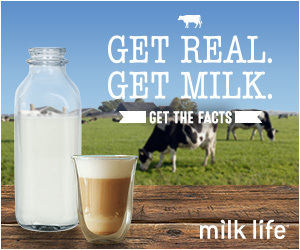 Milk is real. Milk is fresh. Milk is local. Milk is nutrient dense. And finally, MilkPEP plans to help build brands. “The milk category will not grow unless milk brands grow, so it is crucial that milk companies have the tools and assets to help them succeed,” Kadison wrote. The future is bright for all things dairy! Keep innovation alive!